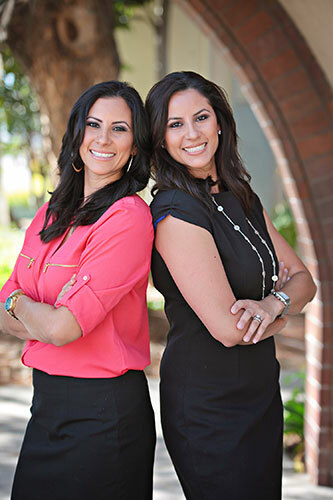 KW Reporting is a family-owned boutique firm, started by twin sisters Kamryn Villegas and Whitney Kumar. At KW Reporting we believe we bring something to the table that is a little bit different than our competitors. If you want a court reporting firm that knows the attorneys in your firm by name, can respond quickly to last minute requests, and provides high quality service at a reasonable price, you’ve come to the right place. How did we both wind up in court reporting? The short answer is that Ms. Kumar’s love of her work, both inside and outside of the courtroom inspired Ms. Villegas to follow in her footsteps. Ms. Kumar spent most of her career working for the Los Angeles Superior Court as a courtroom reporter; Ms. Villegas focused her career outside of the courtroom becoming an exceptional deposition reporter. The court reporting landscape has changed significantly in Los Angeles since 2012. In an effort to cut costs, the civil courts have stopped providing court reporters in most situations. As a result of the change in the civil court system, we decided to team up and provide our clients with a way to utilize our vast experience. As a full-service court reporting firm based in Orange County, we can handle all of your reporting needs. We cover everything from depositions to arbitrations, meetings, motions, ex partes, and trials. With experience both inside and outside of the courtroom, our clients can be confident that they are working with talented court reporters that understand the particular nuances of each legal situation. As firm founders, we regularly handle the reporting needs of our clients because we believe that as the business owners, we have a duty to personally know and serve our clients. As the growth of the company continues, we hand select the reporters we work with to ensure that our clients receive the best possible service. We believe in providing our clients with the professionalism they expect from a large court reporting firm with the personalized attention and reasonable price point that can only be provided by a boutique firm. Feel free to explore our site to learn more about our services, or call us now at (949) 861-8680 to discuss your specific needs. We look forward to hearing from you!